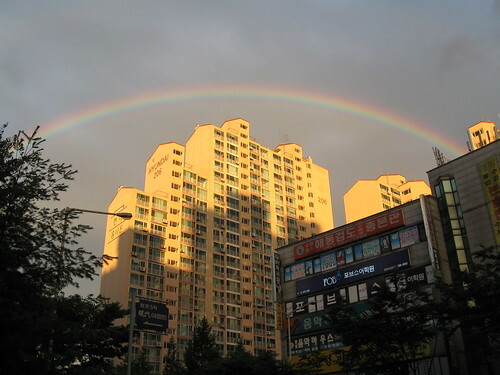 Why we love rain – Hello Korea ! Well, not only does it make it about ten degrees cooler, but it also produces these beautiful symbols of hope in the sky. This particular rainbow was perfect and huge, and I’ve never seen so many people stop and whip out their camera phones before in my entire life.